Today, we honor and remember those who dared to face the horrors of war on our behalf. Too many have paid too high of a cost in the war one hundred years ago that was to end all wars and yet so many since then have done the same and continue to do so. 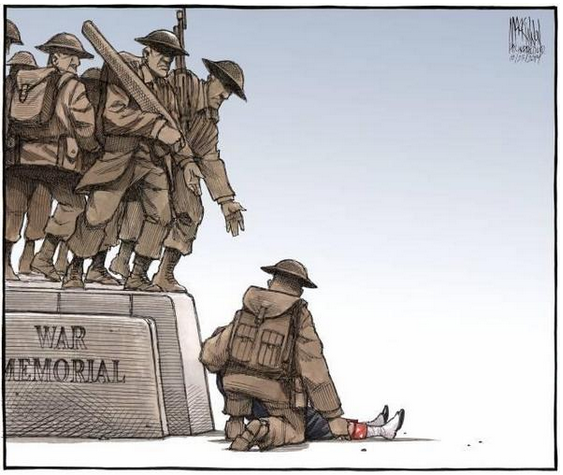 That message has especially been heard in Canada this year after the October 22nd incident in Ottawa during which a lone gunman killed a soldier, Corporal Nathan Cirillo, then entered the Parliament Centre Block building where he was killed in a shootout with security personnel. This followed the death of another soldier, Warrant Officer Patrice Vincent, two days before outside of Montreal in an attack by a radicalist. Technology has long made military combat too brutal and efficient to be entered into recklessly or thoughtlessly, yet somehow the political value remains. Canada, still a very young nation at the time, attained elevated status in the eyes of the world through its contributions and sacrifices during World War I. The expectations that weighed heavily on Western and Middle East nations to contribute towards the current battle against ISIL in Iraq demonstrate that foreign military activity is still seen to count toward a country’s standing amongst its peers. This is partly why, to me, the saddest tragedy of these recent incidents was not the questions about terrorism at home or the violation of the Parliament buildings, it was the cowardly manner by which these men, who were prepared to walk into the most dangerous places on the planet to serve their country, were dealt their very untimely end. 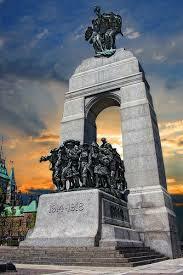 Corporal Cirillo was on ceremonial duty as an unarmed guard at the National War Memorial when he was shot in the back. Warrant Officer Vincent’s attacker waited in a parking lot for over two hours before he ran down Vincent and another soldier with his car. These were two men who were prepared to fight and die overseas not only to protect their country, but also as part of what has been a historic custom of nations demonstrating their status and commitment to the global order by showing a willingness of some of its citizens to be sacrificed for that cause. As soldiers, Corporal Cirillo and Warrant Officer Vincent deserved the highest respect and honor knowing they may very well have been asked someday to go overseas to face that risk for that higher purpose. In this way, for them to have been so unjustly murdered on home soil under otherwise peaceful circumstances was particularly cruel and heinous. But we who consider ourselves as members of a peaceful democracy should be long past asking such people to face all of the risks in showing our best intentions and aspirations for the world. As I had indicated in yesterday’s post as well as a piece in the wake of the two incidents, it is disingenuous for us to retreat toward personal fortresses while expecting the rest of the world to be ordered, especially as many continue to be injured or die for that cause. To truly demonstrate our gratitude and respect for all those who protect our people, land, and honor, both within and outside the military, we can all have an active role beyond remembrance. We all need to look to the outer direction instead of inwards. For each of us to show in our own way that we care about the people and their interests beyond our borders. Then maybe someday we won’t have to watch other people die struggling for the cause of peace that many of us wish for the world. Wishing all the best for everyone this Remembrance and Veteran’s Day, especially, of course, those in military service both past and present. I see that the Crafty Lady in Combat Boots and Kendall F. Person (the Public Blogger) have already posted articles marking the occasion. They look to be worth a visit.